NYC Charter Revision Commission: Make sure the reforms you care about are on the ballot in November. 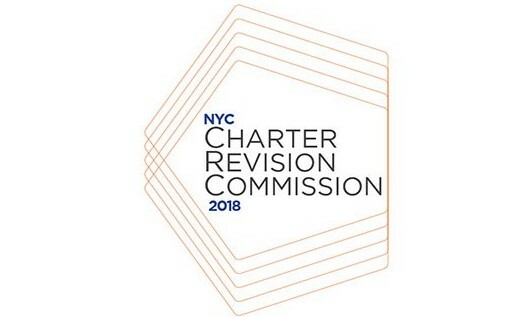 On Tuesday, the Mayor’s Charter Revision Commission released its Preliminary Staff Report on changes to the City Charter, the document that defines the functions, organization, powers, obligations, and liabilities of the New York City government. The Commissioners will now review that report and conduct a series of public hearings across the five boroughs to hear directly from New Yorkers on the reforms they care about most. This is your chance to have your voice heard and make sure the reforms you care about are on the ballot in November. https://www.aslany.org/wp-content/uploads/2018/07/mas.jpg 317 520 ASLA-NY Director https://aslany.org/wp-content/uploads/2018/08/aslany-logo-small-new.jpg ASLA-NY Director2018-07-19 11:37:462018-07-19 11:49:08NYC Charter Revision Commission: Make sure the reforms you care about are on the ballot in November. The AIANY + ASLANY Transportation + Infrastructure Design Excellence Awards recognize exceptional design by New York, New Jersey, Connecticut, and Pennsylvania AIA and ASLA members. The awards program is open to registered architects, landscape architects, and planners. Built and unbuilt projects will be reviewed for their innovative design approaches to transportation and infrastructure. AIANY + ASLANY will recognize projects that reflect a commitment to sustainability, community engagement, and civic architecture. Students enrolled in an accredited architecture, landscape architecture, and planning programs are also eligible. Planning- seeks the most compelling work and ideas in urban planning, studies, design guides, advocacy, and regional scale planning. Commissioned and completed master plans and planning reports are also eligible. Open Space – recognizes design excellence in parks, constructed wetlands, and resilient sites. Projects – recognizes conceptual, unfinished, or unbuilt work. If an entry is awarded under this category, it will not be eligible for a future award once project has been realized. Student Award – recognizes excellence in a project from the three categories above: Structures, Planning, and Open Space. Citation – Represents exemplary achievements on specific project aspects. On Saturday, April 21st from 9am to 3pm, “Broadway Bouquet” will be displayed on Broadway in the Flatiron district of New York as part of the Earth Day celebration. The artwork will be a featured piece in the NYC Car Free Earth Day festivities when Broadway is shut down to automobiles for the day. 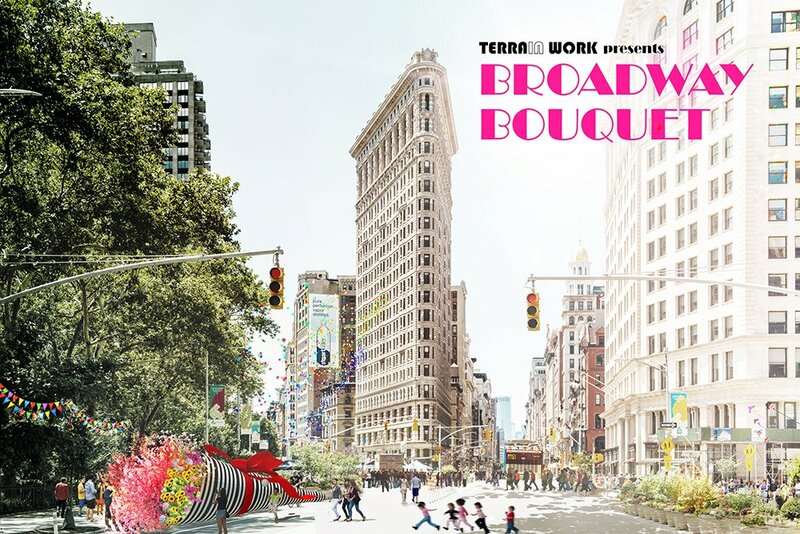 The Broadway Bouquet aims to capture the quintessentially New York spirit of spectacle and wonder that the city’s scale-bending urban environment cultivates. This public art installation revels in the culture of cut flowers found on countless corners from Manhattan to the outer boroughs and blows it up to a monumental scale where individual trees and shrubs replace cut stems and flowers. These portable landscapes are turned into destinations for the public that inspire delight and wonder in spaces that might otherwise be dedicated to the automobile. The Broadway Bouquet provides a tangible example to the public of what we give up – civic space and public art – when cities are dominated by vehicular traffic. The art piece captures the imagination by illustrating the potential for a car-free future with a living garden in the middle of one of the busiest spaces in the world. Special thanks to the following organizations that brought this project to life through their generous support: NYC DOT, Blondie’s Tree House, DeSimone Engineers, and Duggal Visual Solutions. https://www.aslany.org/wp-content/uploads/2018/04/Terrain-Work_1ds.jpg 667 1000 Jennifer N https://aslany.org/wp-content/uploads/2018/08/aslany-logo-small-new.jpg Jennifer N2018-04-20 09:29:492018-08-20 23:01:08Terrain Work wins Public Art Installation for Car Free Earth Day! This year, ASLA will host the 2018 Diversity Summit from June 22-24 at the ASLA Center for Landscape Architecture in Washington, D.C. 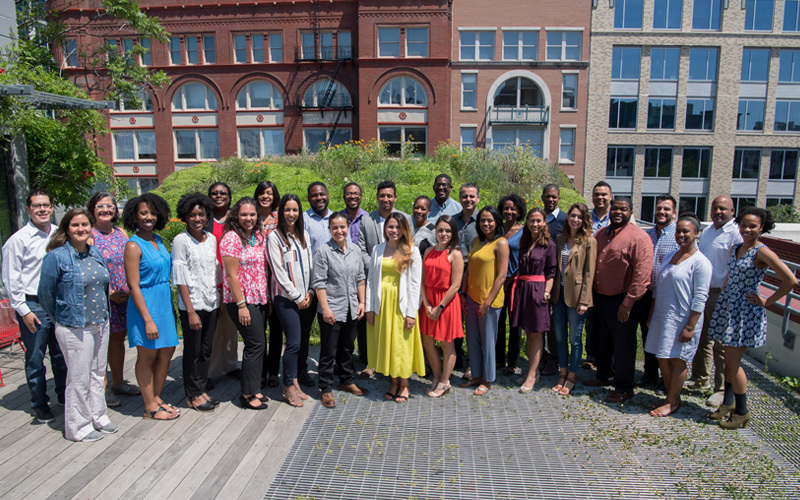 The six new professionals from the Diversity Super Summit have been invited back and ASLA is looking to invite six new participants to add valuable input to discussions and resource development. The goals of the 2018 Diversity Summit are to review benchmarks prioritized from the 2017 Diversity Super Summit and create opportunities for participants to research and workshop resources for ASLA’s career discovery and diversity program. If you are a landscape architecture professional of color in the United States with at least two years of professional experience and interested in applying, please complete the 2018 ASLA Diversity Summit Call for Letters of Interest by Wednesday, March 7. Selected participants will be notified in early April. ASLA will pay primary transportation and two nights lodging for all participants, and breakfast and lunch will be provided on the summit days. Please contact Shawn, [email protected], with any questions about the diversity call. Population growth of people of color in the United States has outpaced that of white Americans for the past two decades, and by 2043 the U.S. Census Bureau projects the nation to become a majority-minority nation. The shifting demographics of our nation are not reflected in the field of landscape architecture where African Americans and Latinx together account for 17 percent of graduating landscape architecture students. New perspective is needed to ensure that landscape architecture reflects the communities it serves. Outstanding juries named for Professional and Student Awards programs. 1/25/2018—The American Society of Landscape Architects (ASLA) is now accepting entries for the 2018 Professional and Student Awards, the world’s most prestigious juried landscape architecture competition. Each year, the ASLA Professional Awards honor the best in landscape architecture from around the globe, while the ASLA Student Awards give us a glimpse into the future of the profession. Entry payments and submissions must be submitted online—www.asla.org/2018cfe. Go to the “Begin Your Submission” page to start the entry process. Award recipients receive featured coverage in Landscape Architecture Magazine, the magazine of ASLA, and in many other design and construction industry and general interest media. Award recipients, their clients and advisors will be honored at the awards presentation ceremony during the ASLA Annual Meeting and EXPO in Philadelphia, October 19-22, 2018. Christian Gabriel, ASLA, U.S. General Services Administration, Washington, D.C. Joining the jury for the selection of the Research Category will be M. Elen Deming, ASLA, University of Illinois, Champaign, Ill., on behalf of the Landscape Architecture Foundation (LAF) and Ashley Steffens, University of Georgia College of Environment and Design, on behalf of the Council of Educators in Landscape Architecture (CELA). Jennifer Daniels, ASLA, Smithsonian Institution, Washington, D.C. Both the ASLA Professional and Student awards feature five categories: General Design; Residential Design; Analysis and Planning; Communications; and Research. The Professional Awards also include The Landmark Award, while the Student Awards include the Student Community Service Award and Student Collaboration categories. Professional entry registrations and payments are due by February 19, 2018; submission deadline is March 5. Student entry registrations and payments are due by May 7, 2018; submission deadline is May 21. Please review the Submission Preview carefully prior to the deadline date. You can go back and edit your submission until the deadline.